An earthquake of magnitude 5.5 hit Assam and Northeast India at around 10:21 am on Wednesday. A 5.5-magnitude earthquake hit parts of Assam on Wednesday at 10:21 am. 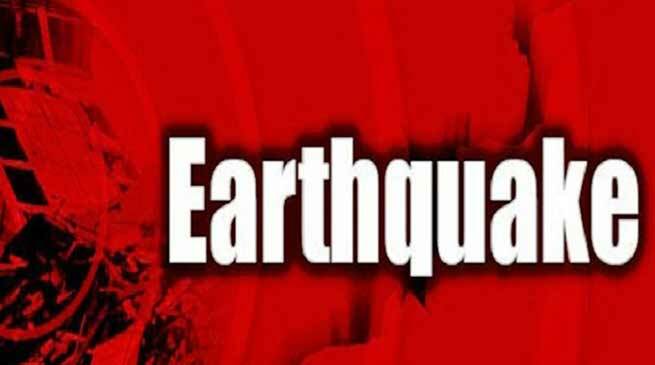 Earthquake tremors were also felt in Bihar’s Kishanganj, Sahebganj and Hazaribagh on Wednesday. However No damage or casualty has been reported as of now. The epicenter of the earthquake is Sapatgram, border town between Kokrajhar-Dhubri. The epicenter is 11 km west of Abhayapuri. According to India Meteorological Department, the quake had a latitude of 26.4°N, longitude of 90.1°E and a depth of 13 kilometers. Tremors were also felt in Sikkim, Nagaland, Manipur and Arunachal Pradesh. Earthquake tremors were also felt in parts of West Bengal and Jharkhand. Earlier today, two low-intensity earthquakes of magnitude 4.6 and 3.1 hit Jammu and Kashmir and Haryana’s Jhajjar respectively. Today earthquake in Jhajjar was the third in the last four days. On Monday, a medium-intensity earthquake hit Jhajjar. Another medium-intensity earthquake had hit the same location Sunday.